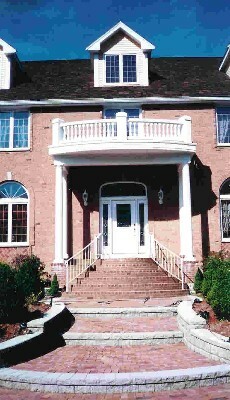 This portico structure was designed and built to enhance a large colonial entrance. Constructed with fiber glass columns, PVC trim, and rubber roofing materials, PBR utilizes high quality modern materials designed for a long term low maintenance structure. Finished work of an exterior portico addition. 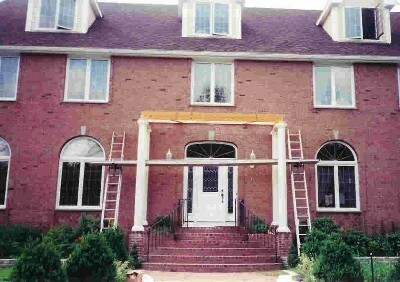 Construction in progress as a portico is being built on the facade of this home.